I keep meaning to share this recipe with you all! 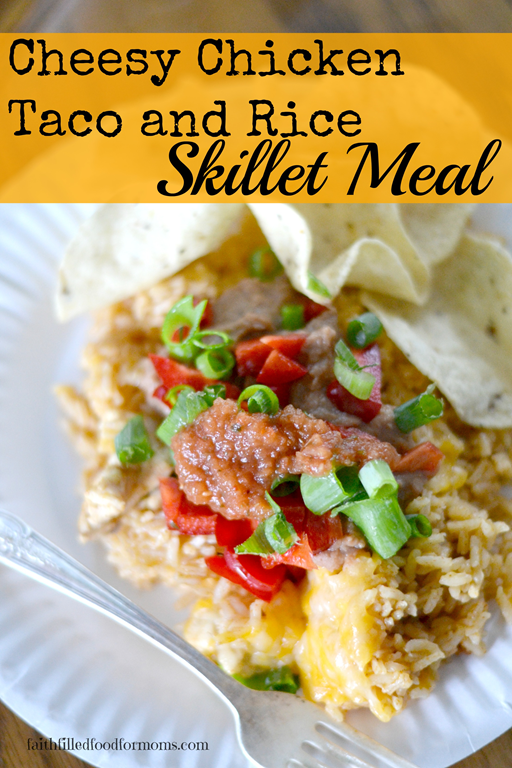 This Cheesy Chicken Taco and Rice Skillet Meal is one of my favorite weeknight Budget Friendly Meals! That’s probably why I haven’t taken time to takes pictures and document this recipe..because it’s super easy, super fast and I’m always in a hurry in the evening! 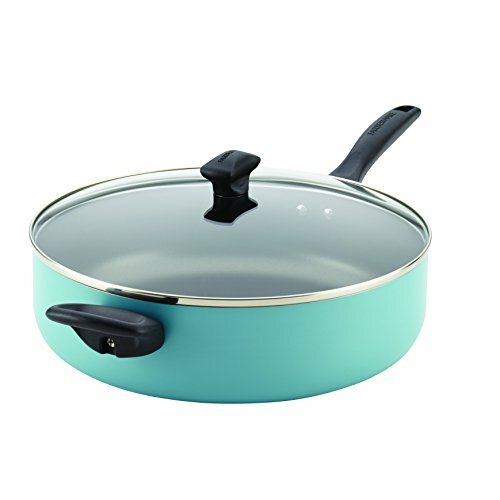 Spray a Large Skillet with Cooking Oil and heat to medium. Then cut up Chicken Breasts and brown. 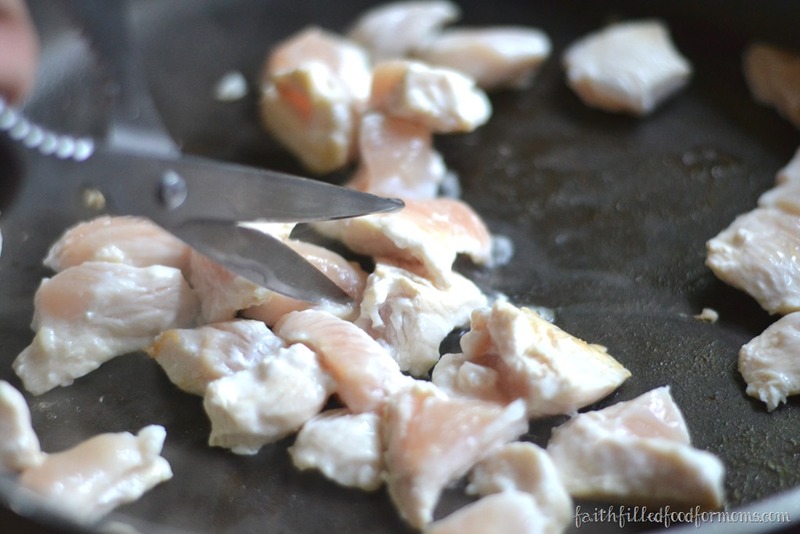 I almost always use Kitchen Shears when I cut up Chicken Breast..so super easy and less messy. No messing and contaminating cutting boards = less clean up! 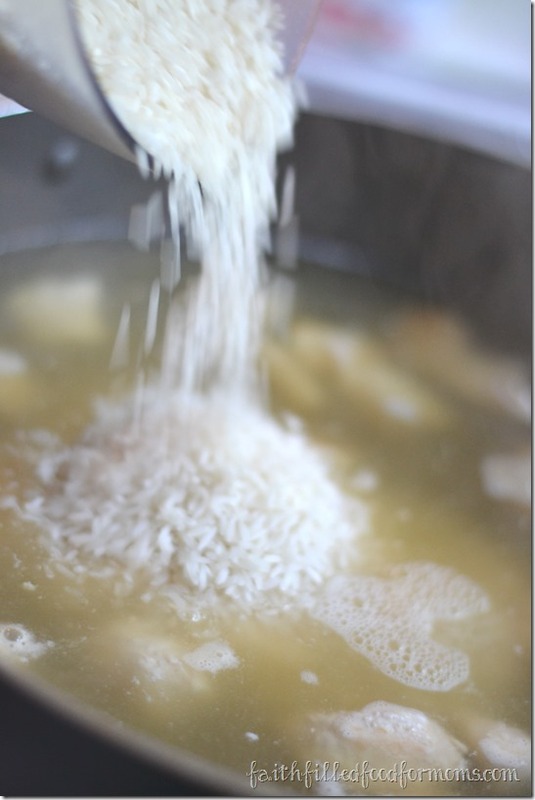 Then add Water and bring to a boil add Instant Rice. I usually let boil for about 3-5 min to make sure Chicken is cooked. Contrary to what many may say is a “must use” iron skillet…I ALWAYS use non stick. One reason is because my husband has an iron overload, so we don’t cook in iron. Second…you gester chester…EASY CLEAN UP! 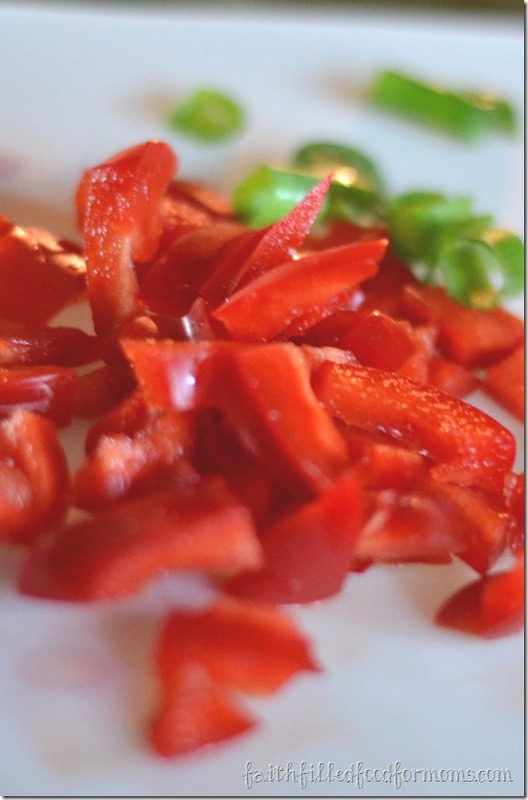 While you are waiting on rice..quickly chop up and fresh veggies you might like to have with your dinner. You can add the veggies and fry them up with the chicken in the very beginning but I always serve on the side..because I have a few very picky eaters! Now…Add cheese and cover again so that the cheese melts. That is it my friends! Serve with Refried Beans, Salsa and Tortilla Chips! That’s it! Now for some little hints..this can be made with regular white rice and regular brown rice. 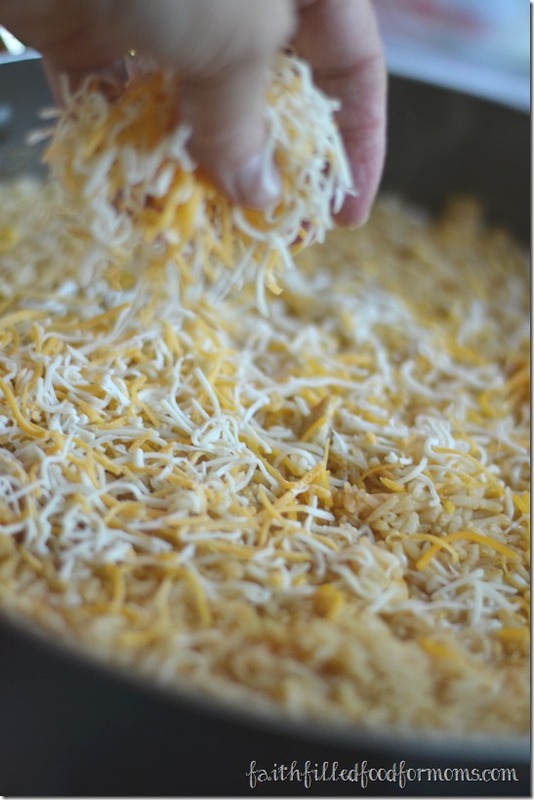 Just make the rice first and mix up with Chicken and Taco Seasoning, top with cheese and cover for melting. Sautéed Mushrooms are also yummy good in this. Jazz it up or down any way you like. 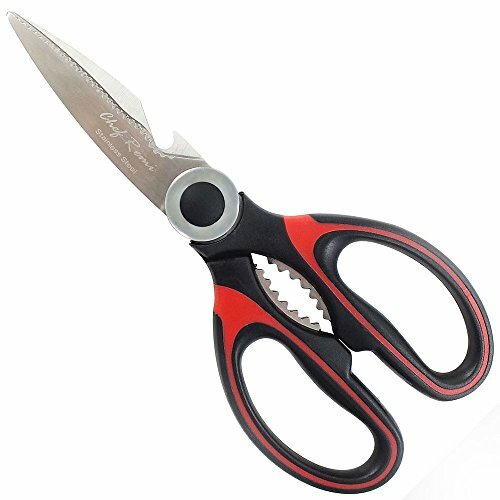 It will quickly become an easy favorite on those busy nights or lazy days! Turn off stove burn, cover Skillet and let sit for 5 minutes for the rice to soak up liquid. Add cheese and cover again so that the cheese melts. 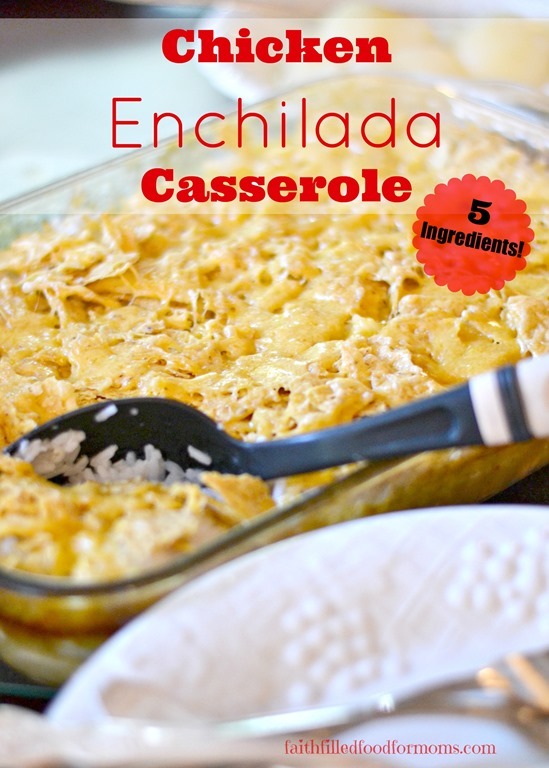 Serve with Refried Beans, Salsa and Tortilla Chips! 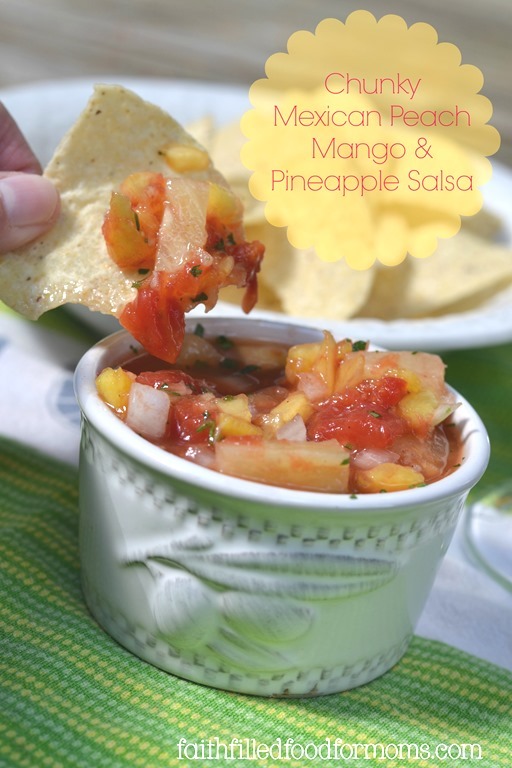 Want to make some Chunky Homemade Peach, Mango and Pineapple Salsa? Wow! That sounds so easy! Why didn’t I think of that?!? 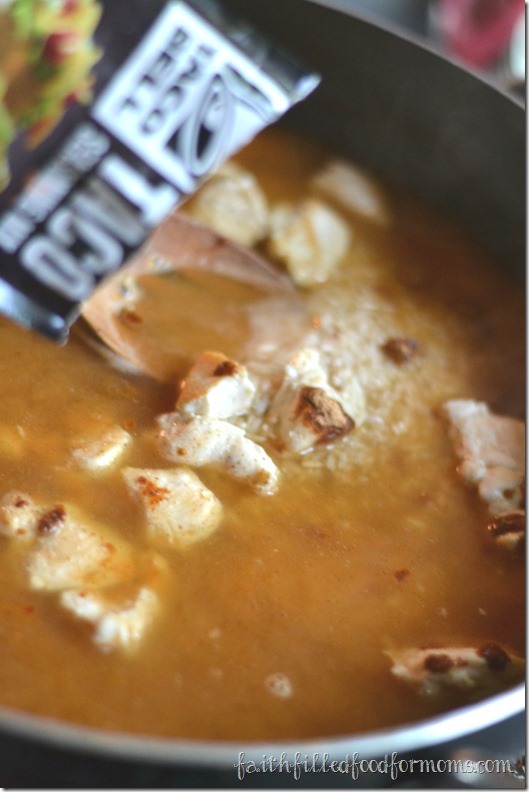 I am going to make this tomorrow night since my wednesdays are always so hectic. I love learning about quick tasty home made recipes! I am always on the hunt for more. Thanks for sharing! Stopping in from the link up today! Awww you are so sweet J! I have been making this for sooo long..it’s crazy and my family never gets tired of me making it. Of course when your starving to death anything tastes good! I’m just kidding..it’s a yummy easy one for sure! 🙂 Thank you for stopping by! Have a blessed day! This looks so very tasty!!! 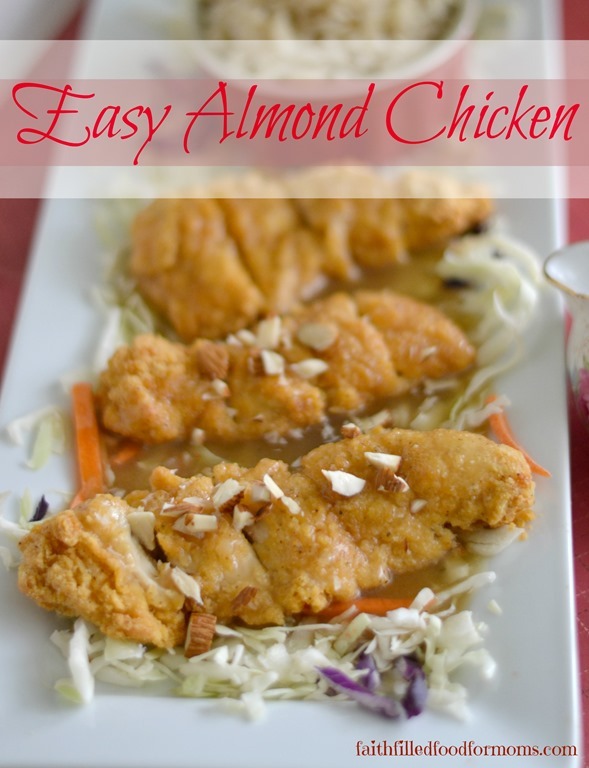 Thanks for sharing easy meals ideas on the Art of Home-Making Mondays. My whole family would love this! This looks healthy, quick, delicious, and frugal. Thanks so much – pinning it now. (Visiting from the SHINE Blog Hop). Hi Lisa! Yes this is so super simple and deeelish..Your fam will love it 🙂 Thank you for stopping by. Blessings!